The Wave Phantom 2 is a shoe that says ‘attack’. The air mesh upper and synthetic overlays create a supremely stable, yet breathable zone for your foot, so you can focus on outmanoeuvring your opponents. 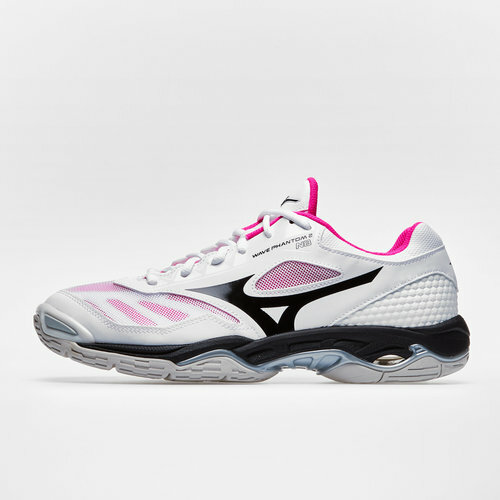 Inside the shoe, a composite fan-shaped Wave gives lateral support and cushioning at the midfoot, and a moulded sock-liner provides a snug, secure fit.